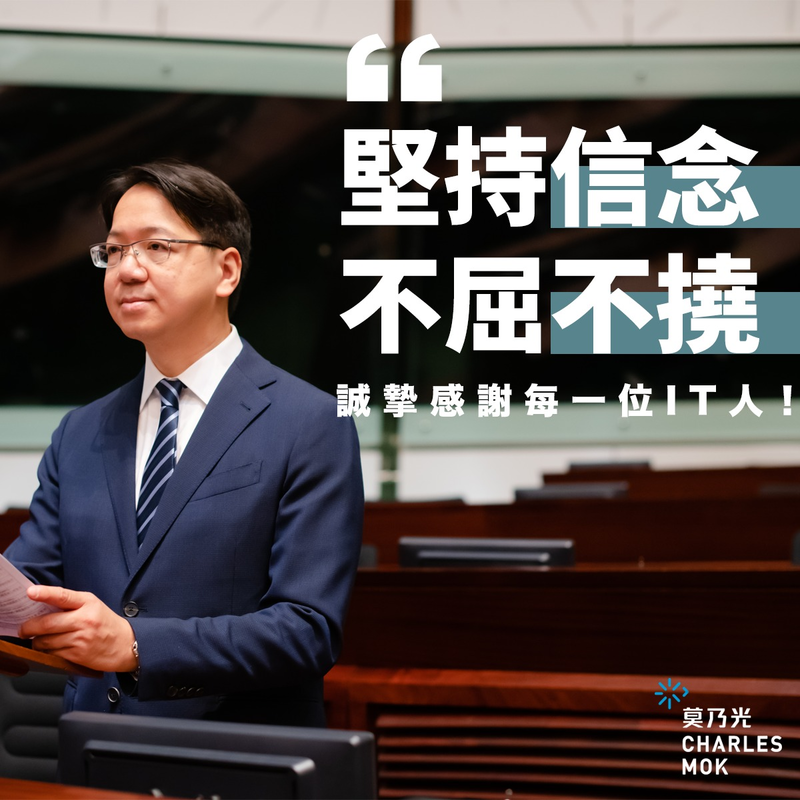 (4 May 2017, Hong Kong) In collaboration with Legislative Councillors Tanya Chan and Dennis Kwok and the Archives Action Group, Charles Mok will move to table the Public Records Bill as a Member’s Bill in joint-effort with the two Legislative Councillors. Following the procedure, the English version of the Bill was sent to the Law Draftsman of the Department of Justice for review on 27 April and the three Legislative Councillors have jointly written to the Legco Panel on Constitutional Affairs and requested for a discussion of the Bill. The Bill aims to outline a proper management system for public archives and records generated from the government and government funded bodies. It will also seek to establish the Public Archives and Records Authority and create the position of the Government Archivist. And as new forms of communication are enabled by technology, the Bill also covers the handling of electronic records to prevent government staff from using personal channels for carrying out public works, as in the case of the email scandal of the former Secretary of State of the US. A widely represented Archives and Records Council will also be established under the Bill to monitor the performance of the Government Archivist and advise on the functions and activities of the Public Archives and Records Authority. “Implementing laws to protect the government archives will help citizens monitor the government and discover the truth. Unlike the lead water incident and issues concerning the Wang Chau development and the Palace Museum in West Kowloon Cultural District, with this Bill the government will be compelled to disclose information of public concerns. We have waited far too long for such a law especially when around 100 countries across the world have already implemented their archive laws,” says Charles Mok. He also points out that the CE-elect Mrs Carrie Lam has pledged to implement archive law during her election campaign and he will press on Mrs Lam to deliver her promise and ensure the government is open and transparent. 1. Provides clear definition of public records which the Bill covers not only government records but also records of government funded bodies. 2. Establishes the Public Archives and Records Authority as a statutory body to lead and monitor the proper creation, use, disposal preservation and access of public records that are on par with international standards and best practices. 3. Proper management of electronic records created, received or kept by public agencies. 4. An independent and qualified professional Government Archivist will be hired by open recruitment to advise and make decisions on records management, destruction, preservation and audit without pressure from government or other parties. 5. A widely represented Archives and Records Council to recruit and monitor the performance of the Government Archivist and issue advices on the functions and activities of the Public Archives and Records Authority. The Council can stop any records destruction in case of a scandal or a controversial issue of public interest. 6. Proper management of public records, and the acquisition and preservation of archives are legally protected. Non-compliance is subject to fines and imprisonment. 7. The public has the legal right to access archival records, access rejection is subject to appeal and judicial review.